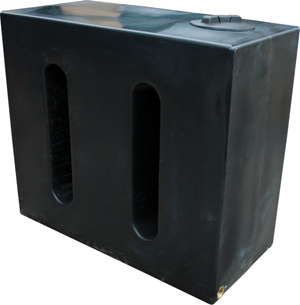 All of our water tanks are high quality rotationally molded in a one piece form to provide a premium seamless, environmentally friendly unit that is cost effective. Our tanks are manufactured in our UK factory, using the highest quality plastic. Also the water tank has baffles manufactured and pre-molded into the tank, which makes this ideal for car valeters and window cleaners as they are safe for transporting in the back of vans or cars to jobs.